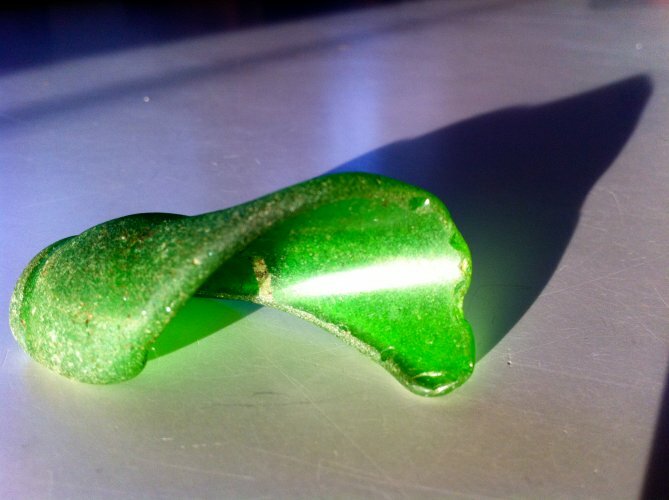 Been fighting the gnarliest cold, but as I got up this morning for a most beautiful sunrise the light through my kitchen widow was reflecting perfectly off this awesome piece of seaglass that resides on my kitchen table…it is a perfect barreling left…and no crowd factor. Mindsurfed it as the tea steeped and figured i’d share. Be well.